CryptoShield Ransomware - How to Remove & Decrypt Infected Files! Ever heard of CryptoMix Ransomware? Being popular among the world of ransomware, it has been updated to CryptoShield Ransomware when Kafeine, a security researcher found it. 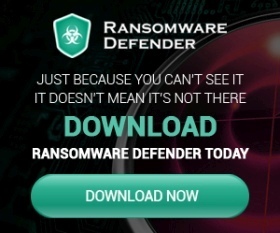 As we all know, that a ransomware distributes data from different computers or distributed networks; CryptoShield 1.0 is one such ransomware spread using exploit kits. The malware encrypts data after infiltration through the RSA-2018 cryptography and adds .CRYPTOSHIELD name to each file as an extension. Once the encryption is done, the data is created in two files in the form of #RESTORINGFILES #.TXT and #RESTORINGFILES #.HTML in a folder. These both files contain the same message with the ransom demand identity saying that the files are encrypted using an RSA-20148 algorithm and to decrypt that data (similar to Locky Ransomware), you need a private key stored on the server controlled by the developers of CryptoShield ransomware. Therefore, you need to pay some ransom payment to receive the key as a victim by contacting the developers through email to get the instructions. The payment cost is not confirmed yet, but it has been shown in the transactions that the cybercriminals demand around $1500 or less and that it should be paid in two days before it gets doubled. The victims are allowed to attach a file that needs to be decrypted to make sure that the developers can decrpyt the files before paying the amount. However, as we all know that the cyber criminals can’t be trusted; the victims are often ignored after the payment is done and therefore it’s not safe to blindly trust them. There are no tools that are yet developed to decrypt the RSA-20148 cryptography and the only way one can solve this issue is by restoring the system/files by backing up the data. How did CryptoShield Got into your Computer? CryptoShield ransomware is very much alike other ransomware viruses and malware viruses say, Erebus, Samsam or Stan. 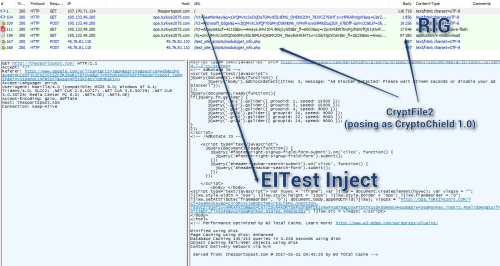 This malware makes demands after encrypting the data. The two major differences you can find between CryptoShield and other ransom viruses is that the cost of decryption is touching the sky and the type of RSA-2048 Cryptography used (asymmetric). The distribution methods, on the other hand, are simple and common through networks (Torrents, eMule), Third party sources (Free download sites, Free hosting sites), Trojans, Fake Software tools, Spam emails, P2P networks et.al. It has also been observed that there are many platforms such as Ranion RaaS that distributes the ransomware for educational purposes. Therefore, if you have important files, be careful while downloading files, opening spam mails and make sure that all your applications are updated from original sources. In case if you come across a bug or flaw, immediately uninstall the program which created it and install it after employing a proper anti-virus/anti-spyware software. CrytoShield Virus got a new update from CryptoMix and the files infected by this ransomware has increased in number as compared to CryptoMix & Cerber virus. Here’s the list of files that can be infected by CryptoShield Ransomware. CryptoShield Ransomware has left no stone unturned. It has almost infected all types of files. 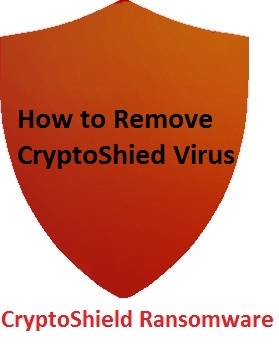 If your system is infected with CryptoShield Virus, here’s the detailed procedure on how to remove CryptoShield Ransomware from your system. How to Remove CryptoShield Ransomware? To be frank, there are numerous ways to remove CryptoShield Ransomware but not all the methods work perfectly. The below given methods are tested by experts so that you can decrypt CryptoShield files without any hassles. Always start your computer in safe mode. This can be done while starting the computer and pressing F8 multiple times till you get the Windows Advanced Menu and then select Networking>Safe Mode from the menu. If you’re a Windows 8 or Windows 10 user, you can try pressing F5 during the starting process to open the computer in safe mode. Another option of removing the virus is by restoring your system. During the start, press F8 multiple times and open the ‘Windows Advanced’ option. Select a restoration point to a particular earlier date and time before you thought that your computer is not infiltrated by the CryptoShield virus. Run the system restore by selecting the specific point. Now, download the Malware removal tool and scan the PC to eliminate any remaining data. To restore the files that are affected or encrypted by the CryptoShield ransomware, you can use the Windows Previous Versions option. This method is relatively effective if you have the System Restore function already enabled on the operating system. But an important thing to notice is that the CryptoShield is designed in order to remove the shadow copies of many files and therefore, this option might not work very well with every computer. You can also restore the file by right clicking it, access the ‘Properties’ and selecting the previous versions and click ‘Restore’ button to a relevant restoration point. If you can’t open the computer in Safe mode, you can try booting the computer using a backup disk as the ransomware can disable the safe mode making the removal of it, all the more complicated. To do this, you need another computer to use the Shadow Explorer and regain the files that are being encrypted. That being said, there are many other reputable programs and tools that can guard your device against CryptoShield Ransomware by implanting artificial policy objects to block all kinds of rogue elements entering the device. The optimized way to avoid any further damage of the files from any kind of ransomware viruses is to update your device constantly and backup the data with regular intervals. You can find many other data recovery tools and backup solutions on the internet which can keep your data safe online. In case if you come across any issues regarding the removal of the CryptoShield ransomware or in the recovery of files through above methods, approach us through the comment section so that we can help you with it. Do visit our Decryptor section to know more about various ransomware decryptors that are available for free!